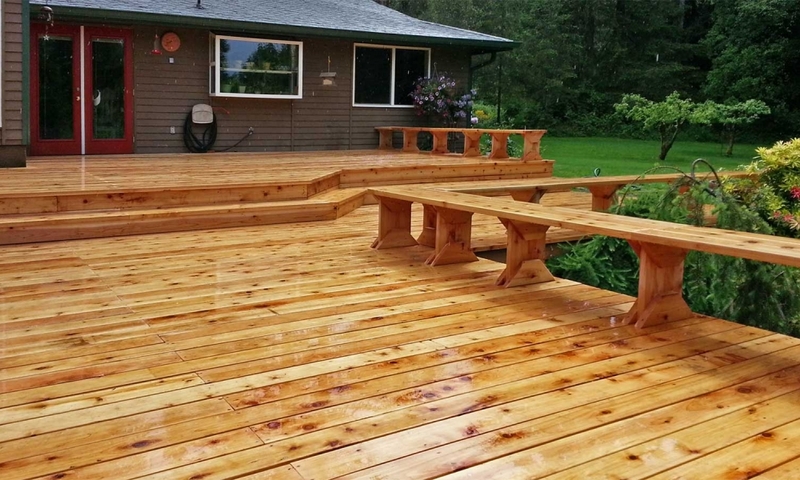 There's nothing quite like a beautiful deck to accent your home. 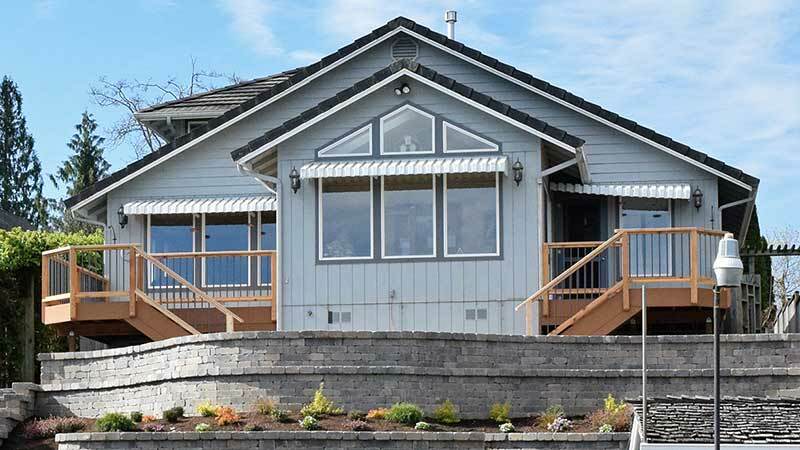 Whether it's overlooking the ocean, sweeping hills, or the Cascade and Olympic mountains, the right deck can provide you with amazing views of your surroundings. 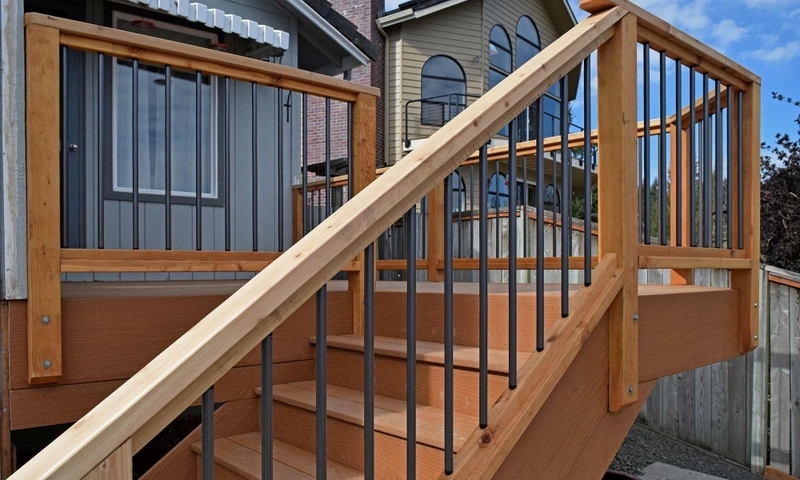 When choosing a deck builder and contractor, it's crucial that you choose a company with the experience and knowledge to create a sturdy and safe structure, regardless of which design you choose. 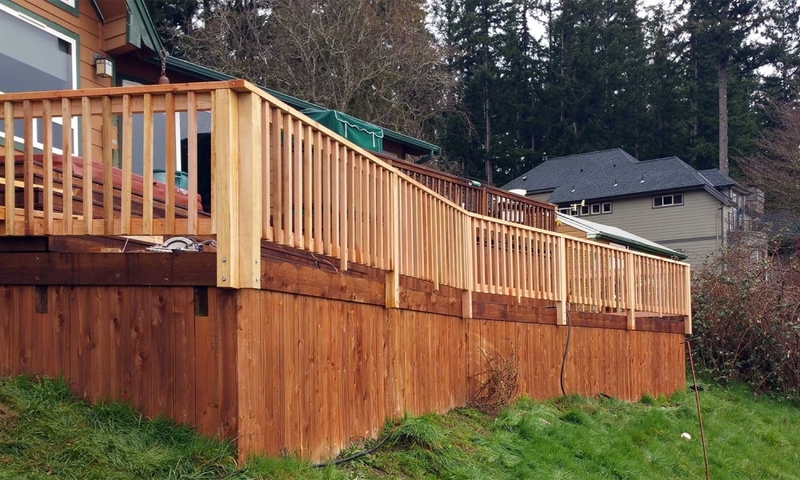 Cedar wood decks - The most common type of deck, cedar is naturally weather resistant and ideal for the extremes of summer sun and winter rain in the Pacific Northwest. Trex and other composite decking materials - Composite materials are extremely durable and require virtually no maintenance. 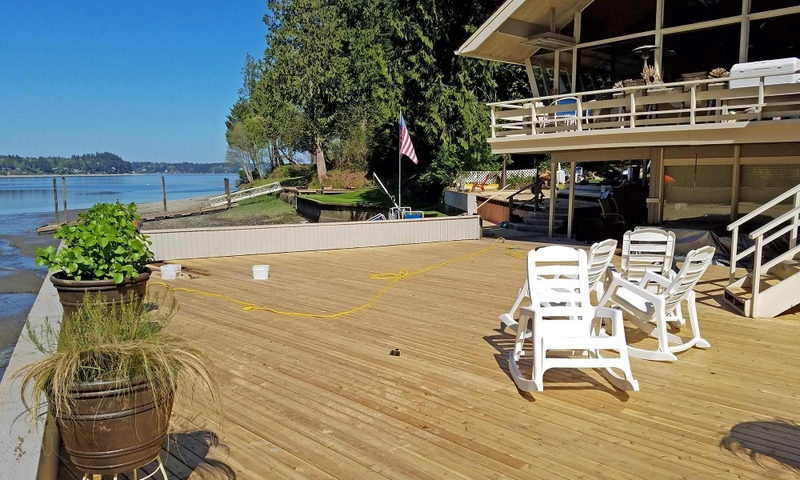 Deck resurfacing and remodels - In some cases we are able to reusing the existing deck framework and resurface it with new cedar or composite decking materials. 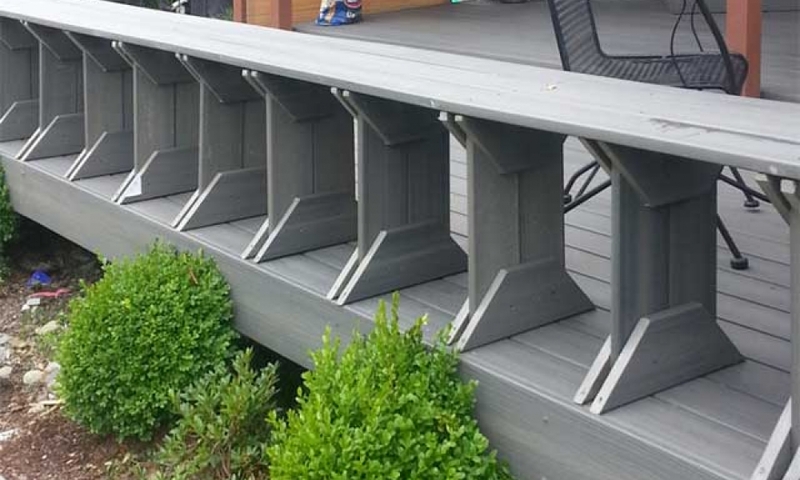 Deck railings and sitting walls - To complement your new or existing deck, we can add railings and sitting walls as an accent or for safety. Click on any of the featured projects above, or browse through individual projects below. Then fill out our contact form at the top right of the page and we'll contact you to schedule a free estimate for your deck project. Before and after shots of a deck remodel in Rochester. We replaced the original deck with Trex composite decking and posts and added a cocktail rail for a unique touch. 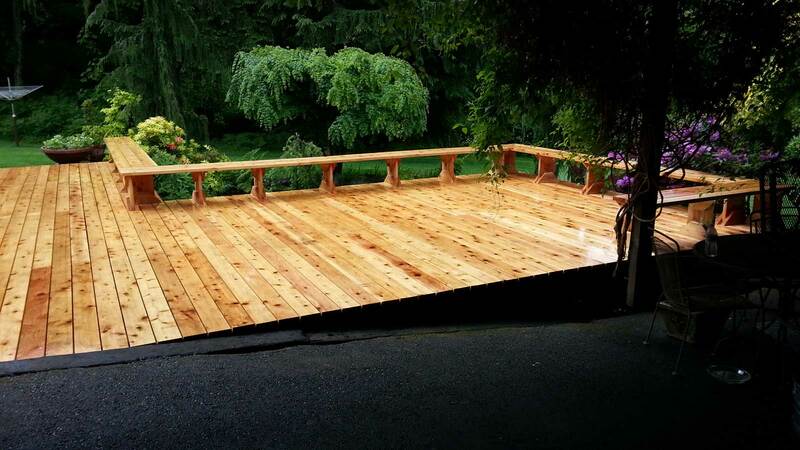 This deck will last for years and years! 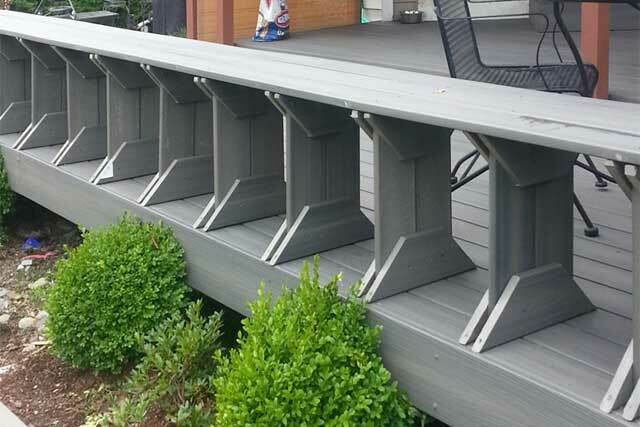 AJB Landscaping & Fence installed this pair of composite decks as part of a backyard renovation project. Point to the image to see how the old deck appeared. 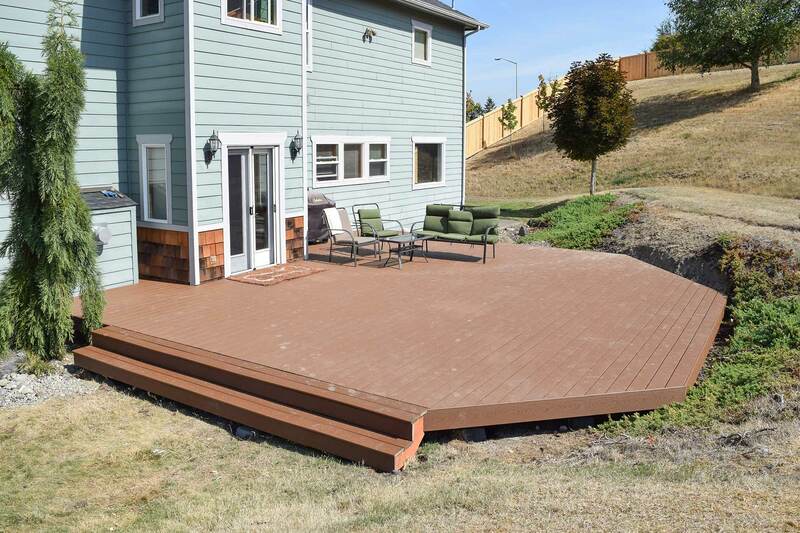 AJB Landscaping & Fence installed this Trex composite deck with angled corners to contour the existing grade of the hill. 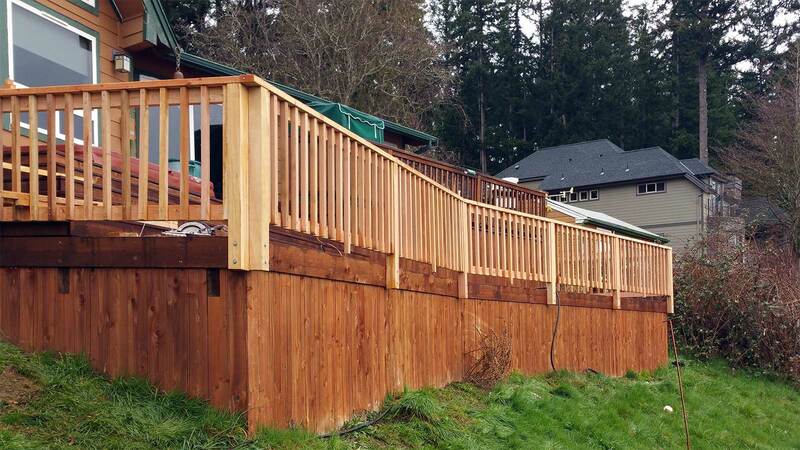 AJB Landscaping & Fence installed the railing for this existing deck in Yelm. We replaced the original 2,000 sq. 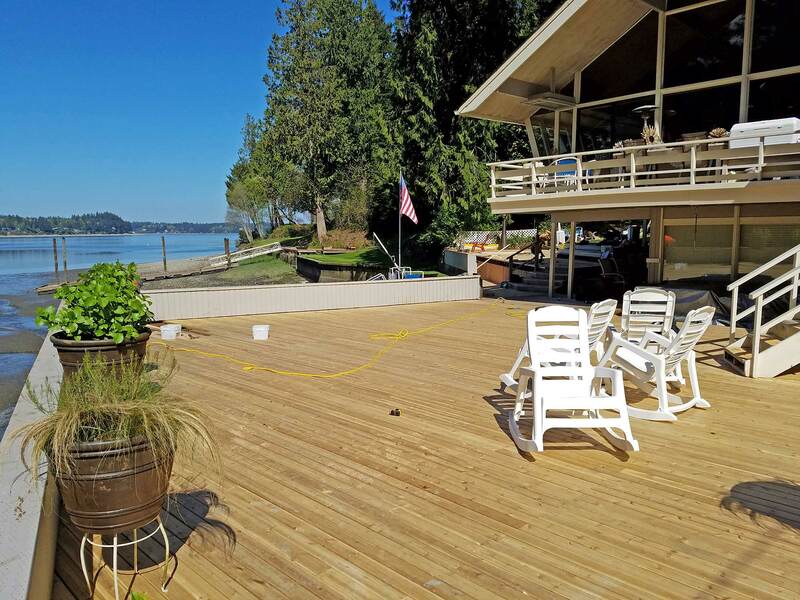 ft. deck on this West Olympia home with a new cedar deck. Point to the picture to see what it looked like before this transformation. 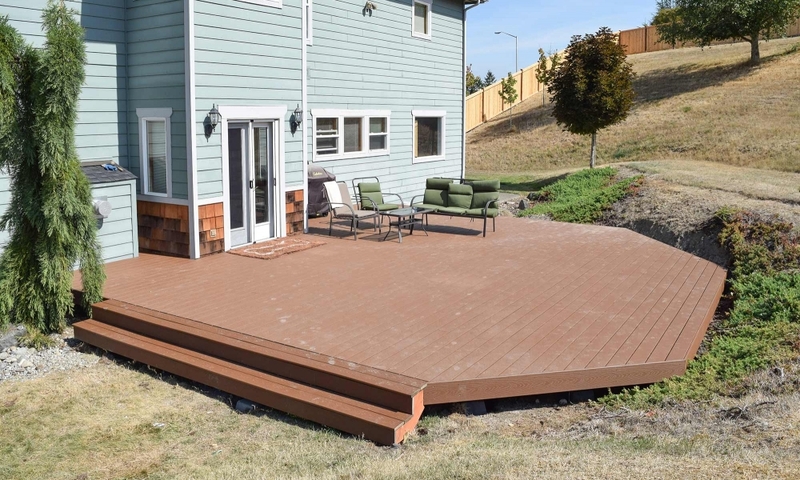 We replaced a worn-out wood deck with Trex composite decking while retaining the original frame, saving our customer money without affecting the quality.